In this chapter we give a very brief introduction to intelligent systems. In order to design such a system, it is necessary to efficiently represent and process knowledge about the given problem setting. For certain types of problems, techniques inspired by natural or biological processes proved successful. 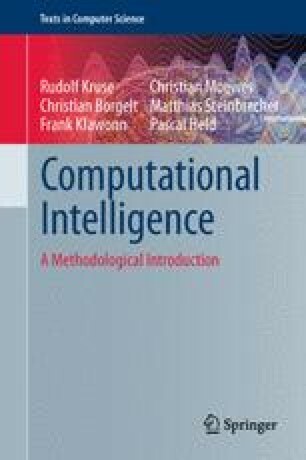 These techniques belong to the field of computational intelligence. Our main objective with this textbook is to give a methodical introduction to this field. Among such methods we find artificial neural networks, evolutionary algorithms, and fuzzy systems. Finally, we mention how to use this book and where additional material can be found the Internet.